The meeting started at 5:30 p.m. last October 13. 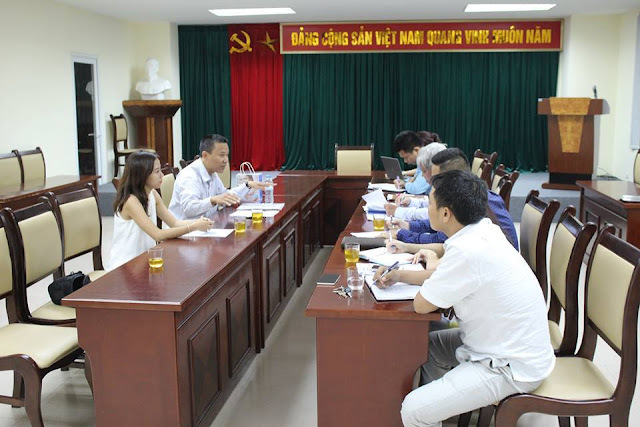 The participants in the meeting of the Management Board (MB) included 6 people in which the main representative for Green Trees is Mr. Hoan - Director of the Management Board. Other Green Trees members present for the meeting included Le Dung, Thanh Ngan, Thinh Nguyen and Cao Thinh. The purpose of the meeting was to address issues related to greeneries on Kim Ma Street, located in the Metro Line 3 project. • Construction process and implementation As of Oct. 12, the cutting of trees and branches in Kim Ma Street commenced, GreenTrees asked ADB specific questions about the whole construction design, the approved construction schedule, whether the final approval of the developer has been granted, and if so, why did the tree cutting commence without prior approval?. • Does ADB employ independent monitoring to supervise construction and contractor management? What is the management board doing in the field? Do they regularly report back to ADB? • The group would like to know if the management of the tree cutting in the field is part of the design approved by the city government? Is there a progress report to the owner? Are there Construction blueprints that they provide as evidence to their claim? We want to make this issue transparent because the public feels very hot. There are obviously design flaws and questions that arise such as: Why did they not relocate the trees in the middle of the road and instead chose to put the trees to the side?